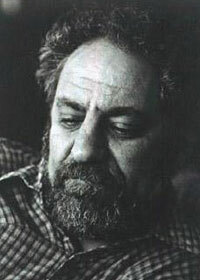 Abbie Hoffman was a counterculture icon, civil libertarian, and peace activist of the 1960s. Born Abbott H. Hoffman in Worcester, Massachusetts, he graduated from Brandeis then received a master's degree from Berkeley. Abbie worked for a while as a psychologist in a state hospital in Massachusetts before "turning on" and co-founding the Youth International Party (Yippies) in 1967. That same year, he and a friend threw dollar bills onto the floor of the New York Stock Exchange from the gallery, causing a near-riot as traders scrambled to collect the money. During the Vietnam War, Hoffman organized an anti-war demonstration in which over 50,000 people attempted to levitate The Pentagon using psychic energy. He also helped organize anti-war protests at the 1968 Democratic National Convention, which led to his arrest, with seven others, for "inciting a riot". The Chicago Seven trial was seen by many as an important battle for the counterculture (five were convicted, but all charges overturned on appeal two years later). In 1974 he went underground to avoid trial on charges of cocaine possession and sale. During this time he underwent plastic surgery and used the name "Barry Freed". He stayed underground until 1980, when he surrendered to authorities and was sentenced to a work-release program. He continued his writings and protests in the 80s, but after suffering from manic depression and bipolar disorder, he was found dead in April 1989 from swallowing 150 phenobarbital tablets in an apparent suicide. 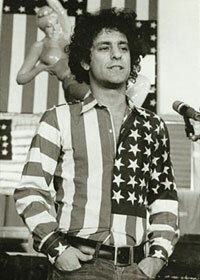 For many people, Abbie Hoffman was one of the irreverant and inspirational figures at the heart of the 60s anti-war/anti-government movement.